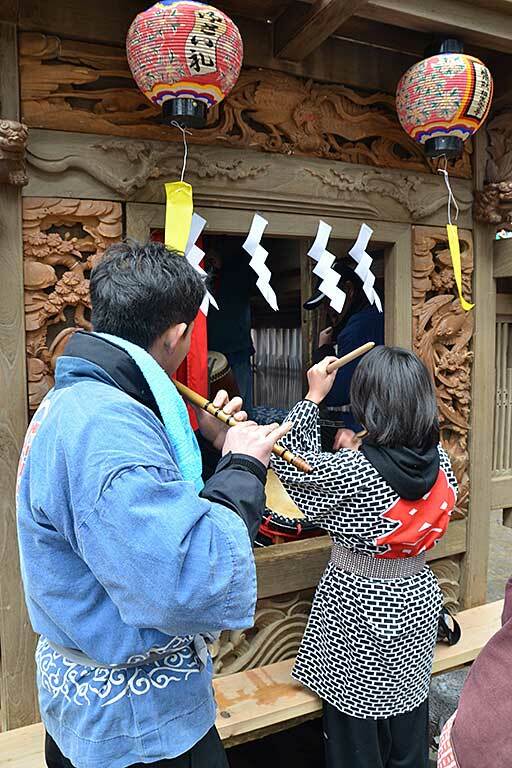 A festival that has been handed down by local people throughout the long history of Yadoriki Shrine. 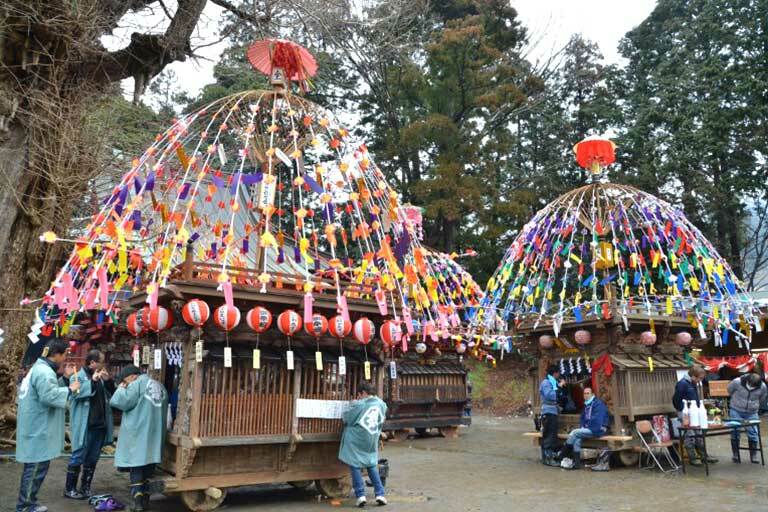 The excitement builds as four festival floats decorated by cones of flowers are carried into the temple grounds. 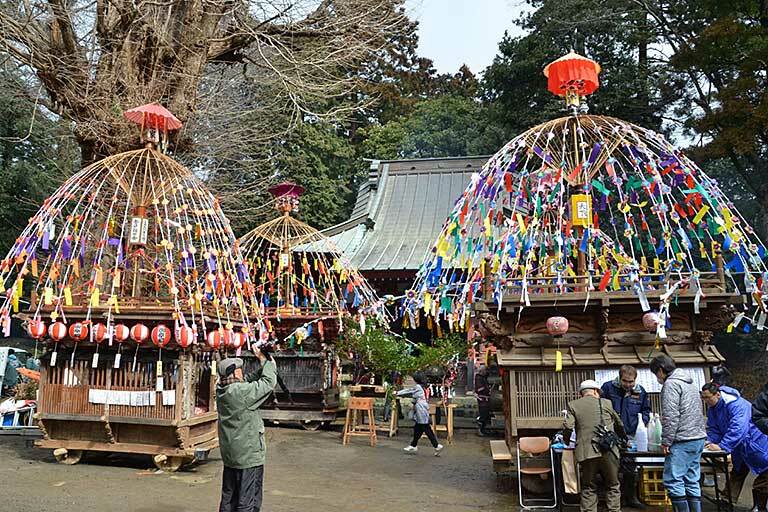 In the past mikoshi (portable shrines) for both adults and children were carried through the districts of Yadoriki, but in recent years only the adult mikoshi go around. Food stalls are lined up on the path from the sacred great cedar tree to the shrine. 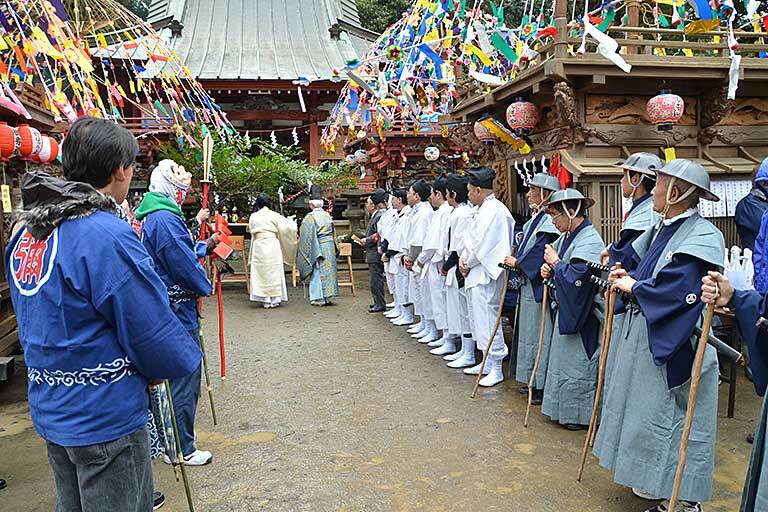 As festival music resounds, men who have reached the critical age of 42 bravely parade through the districts shouldering the mikoshi while clad in white.